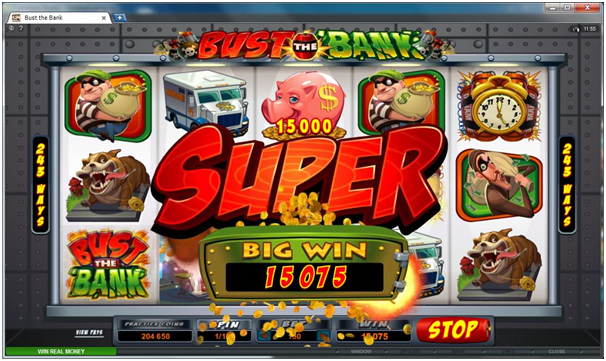 In 2013 Microgaming introduces the pokie machine that is called Bust the Bank. As one of the newer pokie machines that are offered on the online casinos, it offers many exciting features that are causing many people to play it. The game offers fun and interesting graphics, solid game play and a chance for the players to win in many different ways. The best results for this game can be achieved when you use the Mac computers operating system. Players on the mac devices will get crystal clear graphics and fast gameplay without any problems. Bust the Bank is a five reel poker machine that features different symbols representing the theme of the game. 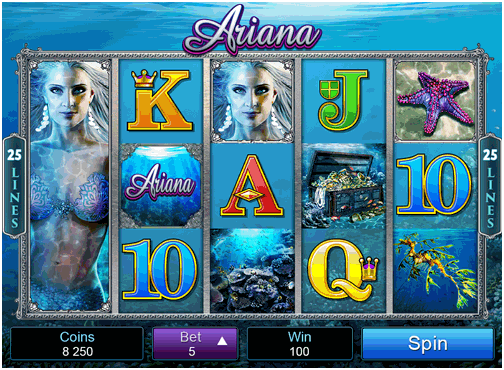 It is made by Microgaming which has a strong reputation for turning out reliable and fun pokie machines. The game has many different things to entice people to start to play on it. Once players start with Bust the Bank they may find it hard to stop. 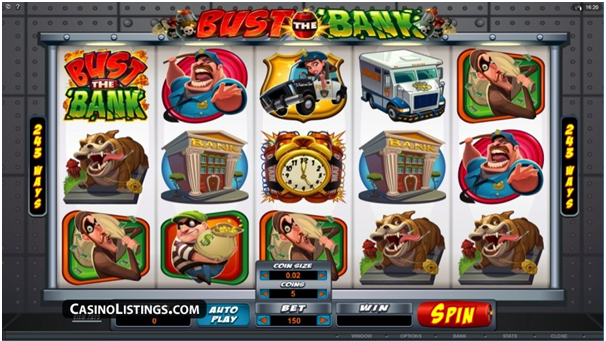 The graphics on the machine depict fun and amusing cartoons that depict many things that people think about when it comes to busting the bank. A criminal with a huge bag of money, an armored car, a police car, bombs and many other symbols are represented in this game. The graphics are clear and easy to understand. The symbols all represent different levels of payouts. It is very easy to tell how much you have won and how much money you have left to keep playing. The large spin button at the bottom of the game is easy to see and easy to use. This game allows people to start playing right away as soon as they enter the casino with their Mac device. The game play and the chance to win is what will keep people playing a machine and Bust the Bank does not disappoint in this area. It offers 243 ways for the player to win on any spin. That is similar many of the other popular games made by Microgaming. All you have to do to get started is decide how much you will want to gamble and hit the spin button. That is when the action starts. 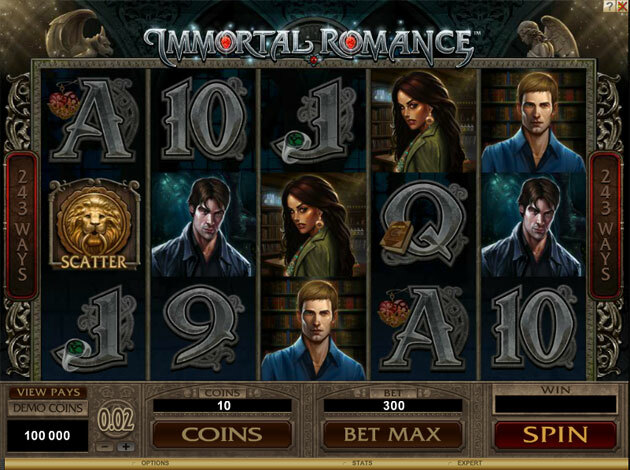 The symbols that appear will pay different amounts just like any other pokie machine. The fun really begins when you get in the bonus round. The bonus round is triggered when you see a piggy bank symbol anywhere on the third reel. If you click on the symbol, you will be rewarded. You also can get 8 free spins when you have three of the scatter symbols. The scatter symbol is the bomb and when you get three of them, the bomb explodes to give you the spins. 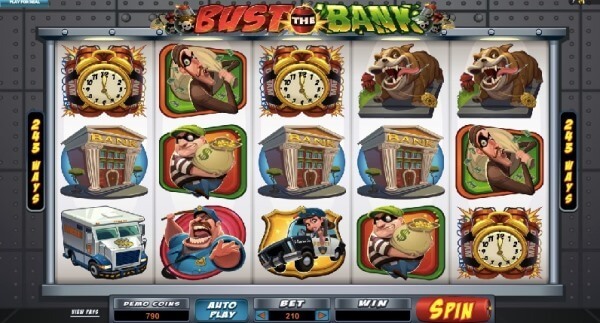 Bust the Bank is an amusing game that will keep players entertained for a long time. More importantly it will provide the players with a chance to win big and that is what most people who play the pokies are looking for. If you have your Mac device ready, consider this online pokie machine.